It is visa season, so I went to the photo booth to take another self-portrait for my application. This time, I realized that I had been fooled this whole time. I always just looked at the style that says "residence card" and choose that option. It comes with two 4cm x 3cm photos plus a couple of larger ones. Then I looked up, the style for "resume/CV" also has 4cm x 3cm, except it comes with SIX of them!!! With the extras, I really could have used them for job applications!!! 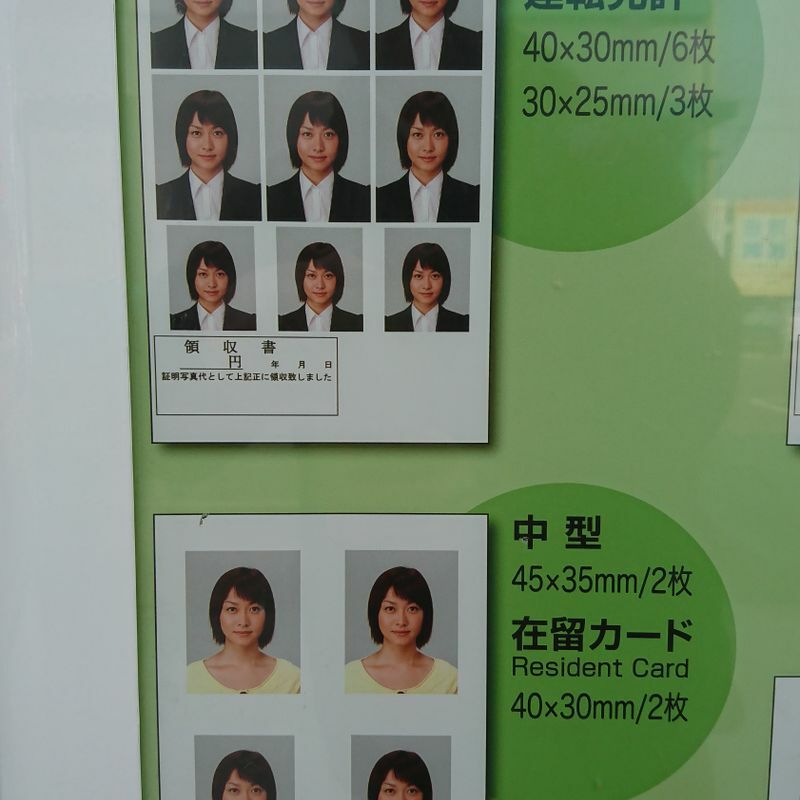 For the larger ones, they were the size of applying for your "my-number card" but that one has a restriction on how big your head must be in the frame anyway, so I have a collection of those extra large photos at home. This time I went for the "resume" one, submitted one photo for the visa application and now I have 5 more to use. Tricky tricky machines!